To access restricted content, become a member today! 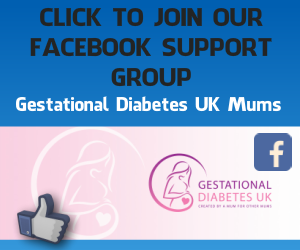 I created Gestational Diabetes UK as a GD Mum, for other Mums. I'm dedicated to providing information on gestational diabetes, from diagnosis through to birth and beyond. I do not show any ads on my website, or have any annoying pop ups. There are no affiliate links and no financial gain for any products that are mentioned within the content. All links shown are purely for information purposes. GD UK does not sell any physical products, instead it is funded by people via an optional membership to the website for additional recipes and meal plans. By selling membership, it has meant that the GD UK website can remain free for all to use and so that I can continue to update with more information and support as time goes on. If you are interested in my optional membership to help fund the website and my work involved, please take a look below. Bronze level membership gives you access to all the membership recipes shown in the Membership Recipes drop down tab. Bronze level membership is £5.00 a month via PayPal or card. *Please note whilst there are no actual nuts used as ingredients in the nut free plan recipes, some of the recommended ingredients (eg. chocolate) may have been produced in factories where they cannot guarantee that the products have not come into contact with other nut products. It is your responsibility to check whether you feel the suggested recipes and ingredients used are suitable and safe for you to consume. Seeds, pine nuts, coconut flour and coconut milk have been used as suggested ingredients in some of the recipes. Take the stress out of being diagnosed with gestational diabetes and not knowing what to eat. These gestational diabetes diet plans follow the Gestational Diabetes UK diet and 8 golden rules of eating for seven days from Breakfast through to bedtime. They include Breakfast, Morning Snack, Lunch, Afternoon Snack, Dinner, Optional Dessert Snack and Bedtime Snack. The meals are based on cooking from scratch and recipes are given to assist you. Please note that these meal plans do not change weekly, they are simply a guide for you to start using and then build upon using the knowledge you gain. For an example of a typical day please see our example one day gestational diabetes diet plan here. Silver level membership is just £7.00 a month. You will be required to log in to the website each time you wish to view membership only areas. There is a login box for logging in at the bottom of the website. If you have any issues with set up or logging in please take a look at our troubleshooting & FAQs. If you cannot find a solution then please contact us via our contact us page with your membership or payment details. One month minimum membership required. Membership will be collected monthly until membership is cancelled. It is each member's responsibility to cancel their membership. To cancel please go to our Cancel Membership page. On cancellation your membership will be terminated at the end of term (one month to the date, from the last payment). 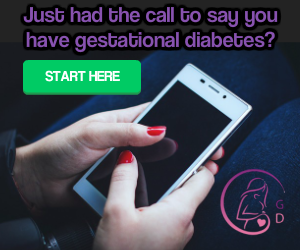 The Gestational Diabetes UK website is designed for information purposes only. It is not a substitute for, nor is it intended as a substitute for any advice or treatment prescribed by a doctor or any other medical professional. We do not represent or warrant that the information accessible via this website is accurate, complete or current. We have no liability and provide no guarantees whatsoever in respect of any use which you make of such information. The information provided on this website has not been written to meet your individual requirements and it is your sole responsibility to satisfy yourself prior to ordering any services from us that they are suitable for your purposes. For our full T&Cs please visit our T&Cs page.